Craig and Barcia complete the top three in Switzerland. 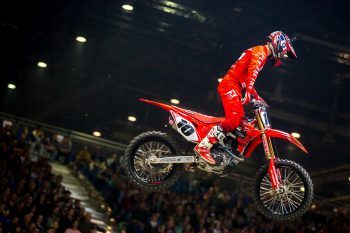 Recently-crowned three-time Australian Supercross Champion Justin Brayton has earned his fifth King of Geneva supercross title after lodging a supremely consistent scorecard at the Swiss event. The Smartop Bullfrog Spas Honda won the opening night of racing before bouncing back on night two to claim runner-up honours, granting him the King of Geneva crown over fellow Monster Energy AMA Supercross contenders Christian Craig (Geico Honda) and Justin Barcia (Monster Energy Yamaha Racing), who won the final night of racing. 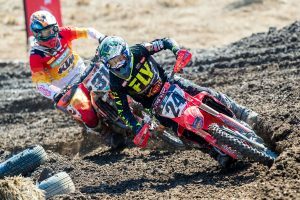 Vince Friese (Smartop Bullfrog Spas Honda) was fourth overall followed by Jordi Tixier (KTM), while the top 10 featured a number of high-profile riders, including Cole Seely in sixth and Zach Osborne (Rockstar Energy Husqvarna Factory Racing) in ninth. 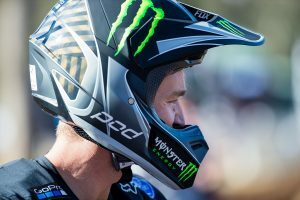 The 250 division was taken out by Monster Energy AUS-X Open Sydney SX2 victor Cameron McAdoo (Yamaha) for Prince of Geneva honours, with the top three being completed by Adrien Escoffier (Honda) and Julien Roussaly (KTM).